We have a big weekend of triathlon coming up with Triathlon NT conducting the Kids Triathlon, NT Junior Championships & NT Sprint Triathlon Championships. If you aren't participating, come on down and support the athletes. Organisers also need some volunteers for NT Sprint, if you can assist on Sunday please email. 3. 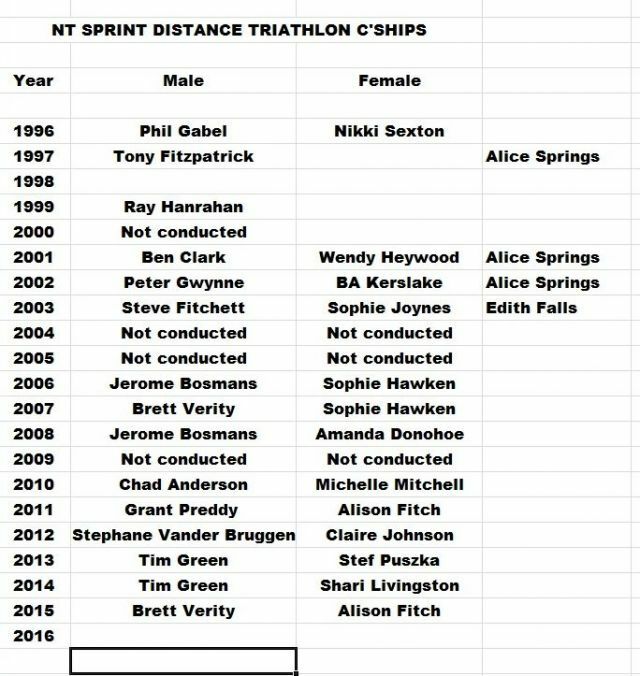 NT Sprint Distance Triathlon Championships - Sun 10 April 2016 (Individual and Teams, members & non-members). Note earlier start time. 4. Club members - this is also Race #3 of our Women's & Sprint Series. Entry closes 8pm Friday 8 April 16. 5. 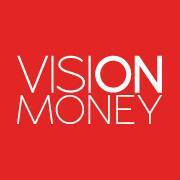 Shout out to Phill Hatty and Vision Money (Finance & Mortgage Brokers) who are supporting the event and supplying post race breakfast for competitors on Sunday. 6. DTC members competing on Sunday, please remember to bring your club timing chip. 2. Congrats to Jac Crofton who picked up a Ironman 70.3 World Championship slot with her age group win at Ironman 70.3 Putrajaya. 3. Emma Cook also competed at Ironman 70.3 Putrajaya and went 5:50:24 for 11th in F40-44. 4. Hearing there is a mini outreach of Darwin Triathlon Club on the Sunshine Coast these days. 6. The DARWIN TRI - BUY | SWAP | SELL | WANTED Facebook page has close to 500 members now and a great turnover of bargains. If you are after a bike or want to sell, swap or giveaway a tri related item feel free to request to join and then post your items. 7. Entry for Bali International Triathon is now open. Race date 14 August 16 with a new Sanur location. 9. Speedy recovery wishes to Phil Blumberg following recent knee surgery. 10. 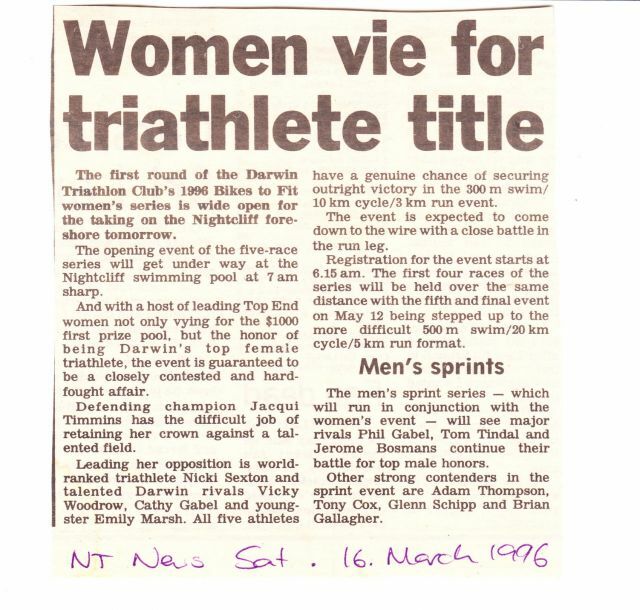 With the NT Sprint Triathlon coming up this weekend, thought a look back on past champions would be of interest. There are also a couple of missing results & I'd love to fill these. If you can help do please get in touch. Sprint Triathlon World Championships in Mexico (Sept) and will be draft legal for the first time. If you are considering applying for a spot on the team after Sunday's event these FAQs may help. If you are genuine, do apply even if Sunday's event is the only selection race you have done. Each age group can have up to 20 male & 20 female on the team and often fall short when it is an overseas location. Read the Selection Policy here. 1. In response to a number of requests we have introduced a club discount code that new members can use to join for the remainder of 2015/2016. 2. 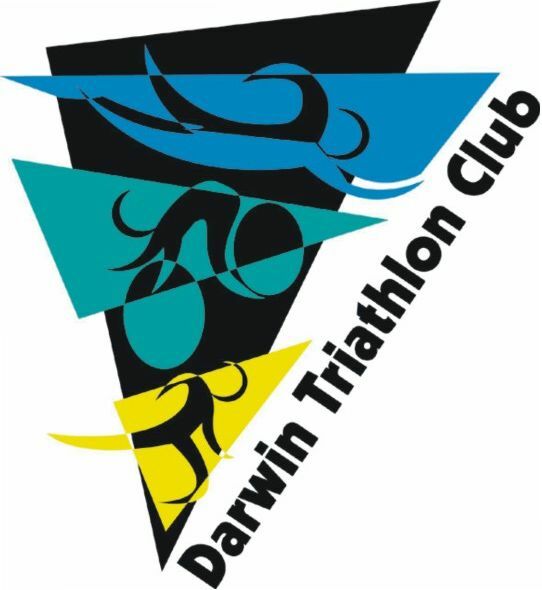 Please add the code DTC16 for a $40 reduction after you select Darwin Triathlon Club as your club. Note: Join as a new member here and choose "club member". The system will then work you through to selection of your NT Club. 3. Your membership will be valid until 30 June 2016 and you will also save on NT Sprint entry and be eligible to compete at our upcoming club events including club championships, duathlon x2 and the Enduro. Entry to NT Standard Triathlon will also be cheaper as a member. This from 1996 - with some very familiar names included.